The Saradha Chit Fund Scam is getting murkier by the day and is expected to wash away several prominent political giants of Assam and Bengal to the drains. A Billion Dollar Scam, as it is called as now, had people from every social bracket, – Assam and Bengal’s so called intellectuals, bureaucrats, sports administrators, media tycoons, industrialists and politicians — accepted or extracted favors, depending on one’s degree of access to power. While Sudipto Sen, alias Shankaraditya Sen as known during this days as a Naxal Leader earlier in his life, is being caught by the neck for being the chairman and managing director of the Saradha Group, politicians and big weights were the ones who ran the show. The group had invested strongly in building its brand to attract people. From the film and music Industry, they recruited actress and Trinamool Congress (TMC) Member of Parliament Satabdi Roy as its brand ambassador, Mithun Chakraborty, etc from Bengal and singer Sadananda Gogoi (who has been arrested by CBI) in Assam. Saradha Group had also enlisted Kunal Ghosh, another Trinamool Congress Member of parliament, to act as the CEO of the media group. This Kunal Ghosh was the main man behind the group establishing a strong hold of Media by buying local television channels and newspapers. In fact the invested around INR 9.88 billion in taking control of Media and employed over 1500 journalists and owned eight newspapers in five languages, such as Seven Sisters Post and Bengal Post (English dailies), Sakalbela and Kalom (Bengali dailies), Prabhat Varta (Hindi daily), Ajir Dainik Batori (Assamese daily), Azad Hind (Urdu daily) and Parama (Bengali weekly magazine) . It also owned several news and entertainment channels such as Tara Newz and Channel 10, Tara Muzic, Tara Bangla,Tara Punjabi and several others may have been funded behind public eyes. The group is also alleged to may have financed several others Media channels in Assam, including NewsLive and Rong (Owned by wife of Ex-Minister Himanta Biswa Sarma who is an accused recently interrogated by the CBI). From several reliable sources, Times of Assam has come to know that in Assam too – the Politicians played an important role in this scam which cheated people of their hard earned money. 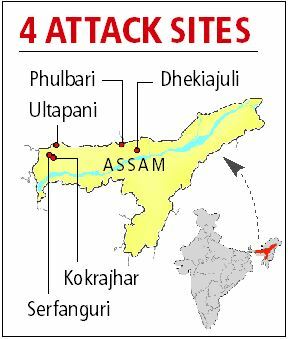 It is alleged that a noted Journalist of Assam – who worked for one of Seven Sisters Post – one of the dailies owned by the Saradha Group had set up links between the Saradha Group’s owners and several Politicians like Himanta Biswa Sarma. In fact, Sudipto Sen had alleged himself that Himanta Biswa Sarma and another former Union Minister (believed in to be Matang Singh) was involved in the scam, though the ex-minister had denied these charges in a letter to the CBI. 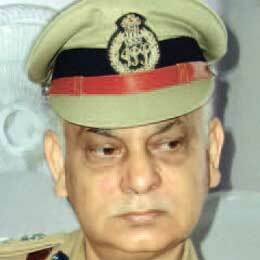 In this meantime – Ex DGP of Assam – IPS Shankar Barua committed suicide with mystery. Late Barua was scanned by CBI and his bank account was also testified by CBI. It is know from a source of Kolkata that the former health and education Minister of Assam Himanta Biswa Sarma, have been profited personally from Saradha Scheme through links established through renowned Media big weight, Manoranjana Singh – wife of former Congress Member of Parliament from Assam and Union Cabinet minister Matang Singh. After his arrest, Sudipto Sen had claimed of paying Rs 250 million to Manoranjana Singh, Rs 30 million to her father K N Gupta to buy shares in a TV channel, allegedly at an inflated price. As per investigations, the actual amount paid could be almost double of what is being claimed. Further sources even alleged that Manoranjana is currently lobbying in Delhi since last July to put pressure so as to save Himanta Biswa Sharma and other accomplices. It is evident now that the team behind the scene of Saradha Chit Fund was the politicians and their close associates such as Top Police Officers of Assam and Bengal. While the CBI Investigations are on, the question to be asked is whether the CBI Investigations will actually yield truth and results. The CBI’s credibility is often questioned by the very people who once controlled the shots. Its former Directors have often accused the agency of derailing investigations under political pressure. It is expected however that the BJP at center may look at this as a good opportunity to spread its wings in Assam and Bengal during elections scheduled less than two years from now and therefor pressurize CBI to reveal all truth soon. But whether this will happen, and will happen soon, is a question only time will tell. On the other way, there has to be a way to curb the rise of fake financial institutions, as highlighted in our report in 2012 even before this scam was unearthed. Till now, just from Eastern India (Bengal, Odisha, Sikkim and North Eastern States), it is estimated that Saradha like schemes have raised wealth of over 200 billion USD which has been looted An important aspect why this has happened is that the people with lower incomes and minimum wages always had this trouble of investment and savings, as there was no Government approved way except for schemes of the Post Office. Low interest rates on such schemes, lack of saving options and the lack of financial education in the society is the reason for people believing and investing in schemes like Saradha. While the newly launched Pradhan Mantri Dhan Jan Yojana will definitely take care of the savings part, there is still a large vacuum for micro-investment and unless it is filled, Saradha like scams will probably continue in some new form or shape.